I think we all have the ability to create, whether from experience or from imagination, all humans can create and I’d go as far as saying that we create, in some way, daily. I’ve always had this idea in my head that people who are creative are people with great imaginations, but that is not the case. 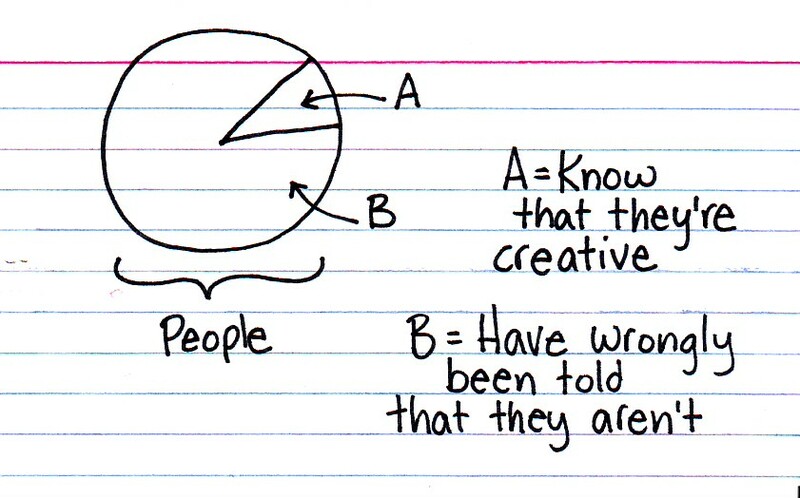 I’ve wrongly assumed that the creative person is one who does something big or masterful. Yet, I create daily and I can assure you that it’s neither great, nor masterful. When I try cooking a meal or baking a dessert, I’m being creative – or at least trying. When I give ideas for my job or to my friends, I’m being creative. When I strum the chords on my guitar, it might not sound the greatest, but I’m being creative. When I write on my blog, I’m being creative. When I walk down the street and notice a building and stop to take a picture, I’m being creative.